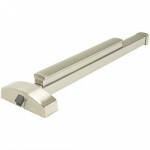 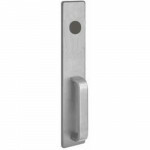 2103 Precision Apex rim exit device 36" surface mount key unlocks latchboltExit Trim: Optional but n..
2108 Precision Apex rim exit device 36" surface mount key unlocks lever or knobExit Trim: Optional b..
2408 Precision Apex narrow rim exit device 36" surface mount key unlocks lever or knobExit Trim: Opt..
1703A Precision rim exit device trim, with "A" grip and escutcheon, night latch. 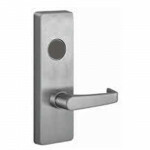 For Precision 2000 ..
2903A Precision rim exit device lever trim, with "A" lever and escutcheon, night latch(key unlocks l..
2908A Precision rim exit device lever trim, with "A" lever and escutcheon, key unlocks lever. 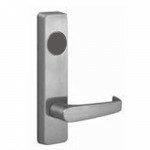 For Pr..
4903A Precision rim exit device lever trim, with "A" lever and escutcheon, night latch(key unlocks l..
4908A Precision rim exit device lever trim, with "A" lever and escutcheon, key unlocks lever. 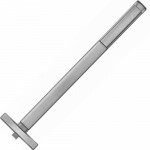 For Pr..